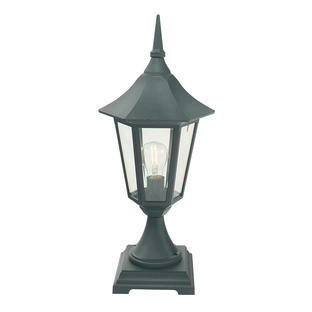 Distinctive Victorian Style Pedestal Lantern. 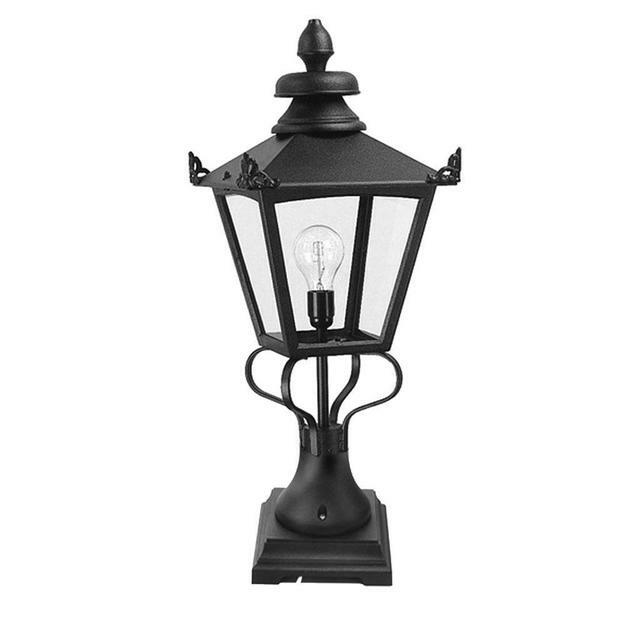 These Victorian styled lanterns are slightly smaller than the imposing Wilmslow collection lanterns. 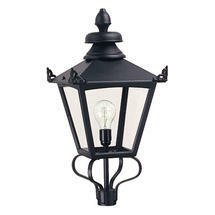 They are suited to traditional and period styles of property. 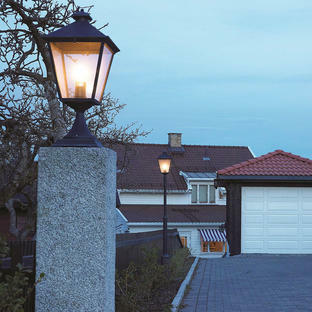 The range is suitable for both the domestic market and also for commercial use. The lights are manufactured in aluminium and have a black finish and clear glass panels. 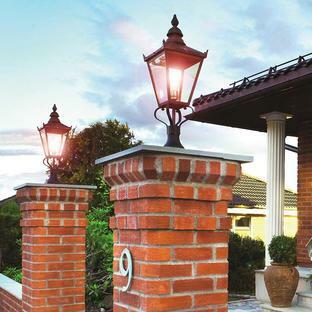 This collection has a 3 year anti-corrosion guarantee. 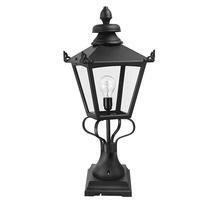 Also available in the same collection is the Grampian wall lantern and Grampian post lantern.